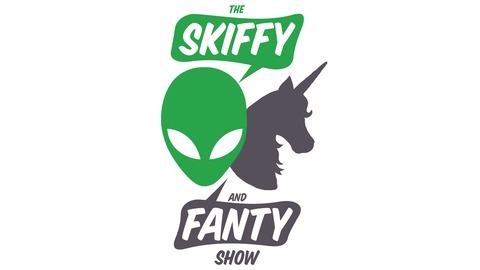 The Skiffy and Fanty Show is a Hugo-nominated science fiction, fantasy, and horror podcast featuring nearly a dozen shows. Led by an intrepid crew of super geeks and starring an inclusive cast of guests, S&F is certainly *someone’s* definition of a great SF podcast. We hope it’s yours. 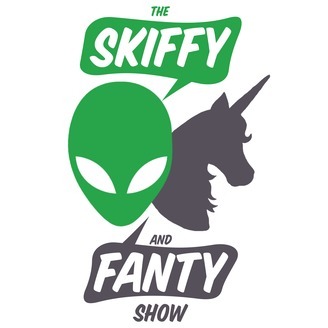 If you want to find out more about us, go to skiffyandfanty.com. Cool suits, touch telepathy, and tidally locked planets, oh my! We didn’t know it at the time of our interview, but Paul and Elizabeth sit down with one of our official Hugo Fancast nemeses, Charlie Jane Anders, to talk about her new book, The City in the Middle of the Night! Listen to why Charlie Jane picked her setting and what that meant for the story, how generation ships might actually work out unless designed in a very specific way, how concepts of time play a key role in the world-building, the effects of trauma on a species that communicates via touch, what fashion looks like on the planet of January, and so much more!